When it comes to siding in Schaumburg, IL, count on the team at Siding & Window Group. Our licensed and skilled technicians help us to be a premier Schaumburg siding contractor with years of experience and a stellar local reputation. If you need a reliable, professional contractor, want the most affordable prices, and superior warranties, turn to Siding & Windows Group. 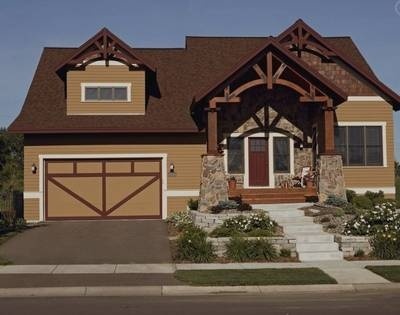 Siding & Windows Group is proud to offer James Hardie siding, one of the highest quality products available today. Known for its exceptional durability, energy efficiency, and beauty, it is perhaps one of the best products on the market. It is an excellent choice for protection against wind, rain, ice, and snow. Siding & Windows Group not only provides the best siding but the best installation and care as they are recognized as an Elite Preferred Contractor for James Hardie Siding. As an Elite Contractor, you are guaranteed with quality siding build to last, with professional installation and care. Choosing a siding contractor has never been easier than choosing Siding & Windows Group for your next project. Mastic has produced exterior solutions that offer craftsmanship and a series of different styles that are reliable. With more and more homeowners looking for energy savings, vinyl siding will has been and will remain a popular choice for many decades to come. You deserve the very best workmanship, pricing, and warranties. That’s exactly what our Schaumburg siding contractor offers. 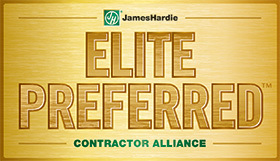 We’re an award-winning contractor with the highest ratings on Angie’s List and Guild Quality. We’re fully licensed, bonded, and insured. We’re recognized as an industry leader for our innovative methods and architectural integrity. We offer financing options through Synchrony Bank, including options for siding installation at 0% for 12 months. Ask us about financing your new siding. We offer the best possible warranties from manufacturers. You can expect superior workmanship from our team. We’ll ensure you have the results you desire every time. Contact Siding & Windows Group now to request a free siding consultation and quote. When you need siding in Schaumburg, turn to the area’s leader in high-quality, affordable products that last.